Fab 4 shelf Bakery FSDU for Tan Y Castell! Made entirely from cardboard, its lightweight, easy to assemble and 100% recyclable! 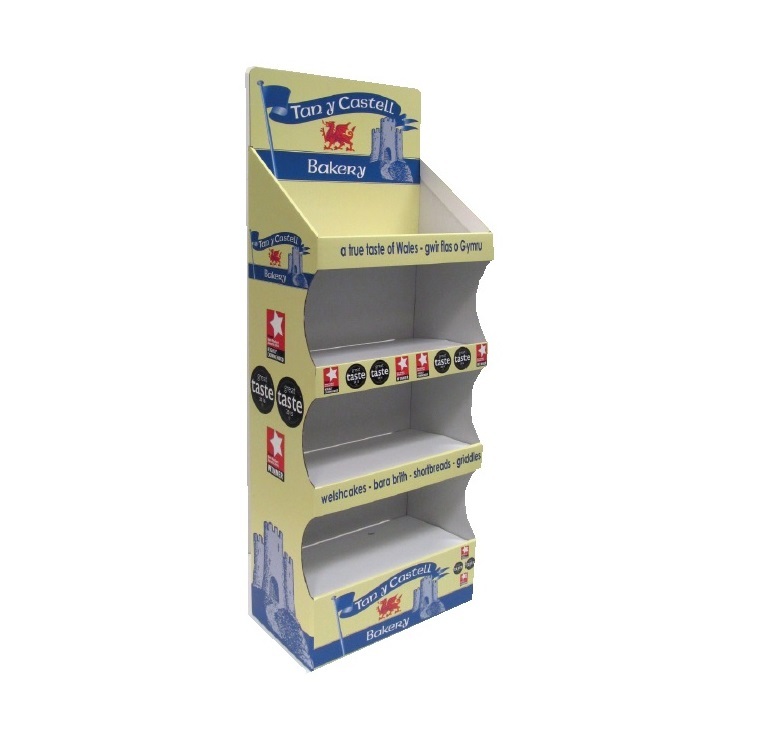 All of our POS displays from Fsdus (free standing display units) to standees dump bins and counter top units (CDUs) are designed and manufactured at our site in Birmingham City Centre!